Released on 13 April 1974, ‘I Won’t Last A Day Without You’, was the Carpneters’ 14th single to make the Billboard Hot 100. In 1974, on what was maybe the unlucky 13th of April, Karen and Richard Carpenter had their 14th single enter the Billboard chart, it did so at No.70, the highest new entry of the week. ‘I Won’t Last A Day Without You’ was in many ways a curious choice for a single because it came from their album, A Song For You that had come out close to two years earlier and had already included three big hit singles. The Carpenters then issued ‘Sing’ and ‘Yesterday Once More’ from their 1973 album, Now & Then. But, they had gone back to their A Song For You album for their 13th charting single, ‘Top of the World’, and it topped the Billboard charts for a couple of weeks in December 1973. ‘I Won’t Last A Day Without You’ is a peach of a song, featuring some of Karen’s finest harmony vocals. Written by lyricist Paul Williams and with a lovely melody by Roger Nichols, Williams had released his own version of the song in 1973. 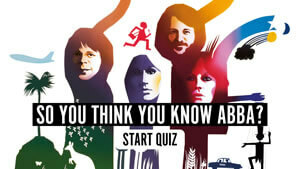 Williams and Nichols, had already contributed ‘We’ve Only Just Begun’, ‘I Kept On Loving You’ and ‘Rainy Days and Mondays’ to earlier Carpenters’ albums. Besides reaching No.11 on the Hot 100 ‘I Won’t Last a Day Without You’ made the top of the Billboard Easy Listening chart. The Carpenters’ next single was, ‘Please Mr Postman’ which also topped the Billboard chart, so ‘I Won’t Last A Day Without You’ really was a little unlucky. Roger Nichols was one of those Californian musicians (although he was born in Montana) that seemed to have such an assured way with soft pop/rock and in 1968 along with Tony Asher, who wrote lyrics for the Beach Boys’ Pet Sounds album, they co-wrote songs on Nichols’ debut album Roger Nichols And The Small Circle Of Friends for A&M Records. The album is a little gem that was produced by Tommy LiPuma and engineered by Bruce Botnick; it featured contributions from Van Dyke Parks and Randy Newman. If you love the Carpenters you will love this record too. 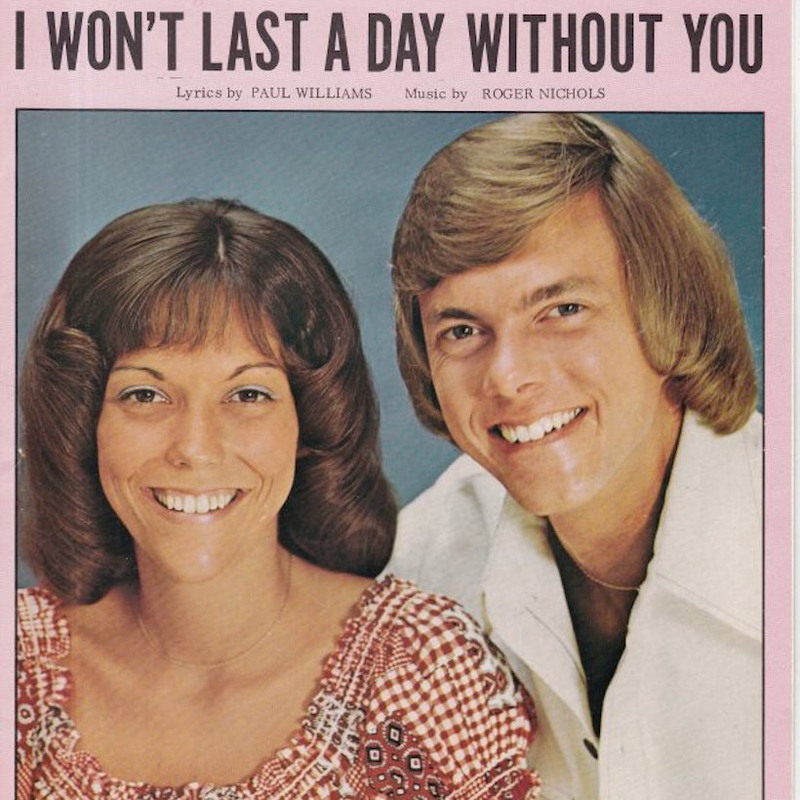 Listen to Carpenters’ ‘I Won’t Last A Day Without You’ on A Song For You, available to buy here. This song was released on my 7th birthday. How time flies. She was my favorite then and now. Miss her terribly. She was my neighbor and Richard and her were my idols. I loved them. To me, Karen Carpenter was and is the best female vocalist ever. No one compared to her angelic perfect voice. This is very important to me and I need your feedback! Was this in Connecticut? I can’t go forward with additional info, but if it was CT, please respond back to me on my FB page or at edward1955@sbcglobal.net. One of the best female singers of all time and still my favorite to this day. The Carpenters saved my life….I had a lot of sexual abuse in my life as a child and when I would listen to Karen”s voice and Richard”s music, I went somewhere else…Karen”s angelic beautiful voice always took me to a safe place….I am now 56 years old and I will never ever forget what You THE CARPENTERS DID FOR ME AND I THANK YOU FROM THE BOTTOM OF MY HEART….. I loved Karen’s voice. She could sing anything from pop to country and Richard did a wonderful job picking out the music even going back into the 1920s or the 30s. With songs like little girl blue. Thank you for the music, miss you Karen!